Right from day one, if you need ideas and recommendations for your wine cellar, you can contact the Team at Wine Corner to help you evaluate and develop your plans, with the best and most appropriate wine storage solutions on the market today. 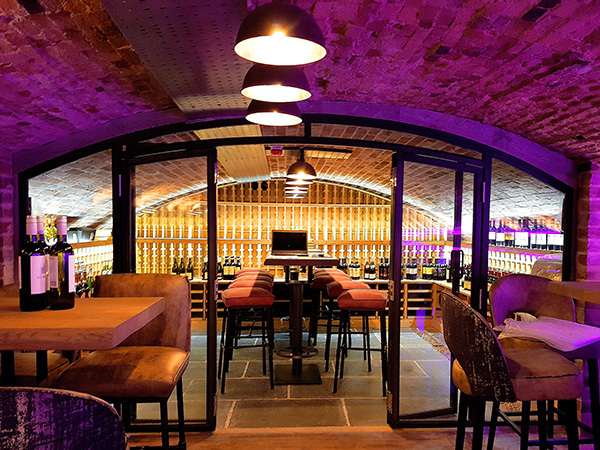 The collective knowledge and experience of the Wine Corner Team in construction, cooling systems and wine storage solutions enables us to design cellars that enhance the space as well as provide a perfect environment for fine wine storage. From start to finish, we manage and supervise the building or refurbishment of your cellar, ensuring that budgets, schedules, and specifications are delivered, right down to the last detail. The integrity of the construction work is key to the effectiveness of the completed cellar, which is why Wine Corner provide this is as a specialist service to ensure peace of mind and protection of your wine for years to come. Call us on 03333 702589 to talk about your project or supplies you might need, or contact us here. All wine lovers know that wine is fragile. It needs careful attention and the best storage environment to reach its full potential. However, the conditions that are conducive to this seldom exist in the cellar of an old house, let alone the modern home. The Team at Wine Corner will find solutions, no matter how large or small your wine collection might be or how small, spacious, hot or cold your location is. Wine Corner is committed to a programme of continual product development ensuring our customers have access to a wide range of products that offer optimum levels of performance and reliability. Your wine is organic, it needs nurturing and it needs to breathe – your cellar is at the heart of it’s wellbeing and existence, so when did you last perform a health check on your cellar? Can you set the control panel on your conditioner to the required temperature easily and is it also easy to check? Are all moving parts in your cellar mounted on rubber shock absorbers to prevent your wine deteriorating? For peace of mind, are you confident that all components like compressors, thermostats, exchangers and fans etc., have been manufactured to high standards and are proven and tested designs? Conditioning units from Wine Corner automatically maintain a temperature between (8 – 14°C) and are equipped with a resistor to heat the atmosphere when needed. Does your equipment also have permanently running fans to circulate the air and avoid stagnant air pockets? Ideal humidity levels in a cellar are between 60 and 80%, preventing mould and protecting the cork seal. Can your conditioning unit circulate the air, keep it at the right temperature and maintain suitable moisture levels? All equipment, even of the highest standard, needs maintenance to ensure optimum performance. All our units have easy-change filters made from premium materials protecting the heat exchanger and compressor – does yours? Expertly engineered fans and acoustic foam make our units very discrete, allowing your guests or customers to relax and enjoy the tasting experience. Have you researched all your options for conditioning installations? Check our Wine Conditioning page for 5 ways to install equipment. Does your unit run on R404a gas, an ecological coolant with no CFCs, conserving the ozone layer? All our units use this coolant which also gives compressor units greater power, reduces the space required, optimises electrical consumption, helping to increase its life span. Are you in a position to purchase young wines, particularly vintage wines that increase in value as they age? Does your cellar meet the needs of your collection which may run into several thousand bottles? Protecting your wine is our business, call the Team at Wine Corner for help and advice on 03333 702589. With over 50 years’ combined experience and knowledge of construction, cooling systems and wine storage, we can help you enhance the space you have, and design a perfect environment for fine wine storage for private collectors and commercial venues. Fortunately, with today’s technology, many different types of space can be converted to store, display and enjoy your wine, from spare rooms to corridors and outbuildings. ​The Team at Wine Corner will invest time with you during the planning stage, to develop a design that exceeds your expectations and provides the necessary detail to enable the transition from design to build to be as smooth as possible. ​You will be presented with your unique designs so you can be totally clear on what is involved in the build and fit-out process; that the space is used effectively; is aesthetically pleasing and caters for the size of your collection. Need help to get the work done? If you are ready with your ideas and designs, the next step is Project Management and Cellar Construction. The Team at Wine Corner is ready to assist in any capacity to find and deliver the best solution for you. Care and attention is invested in your ideas and the design and the build program to minimise disruption for your business or your home. 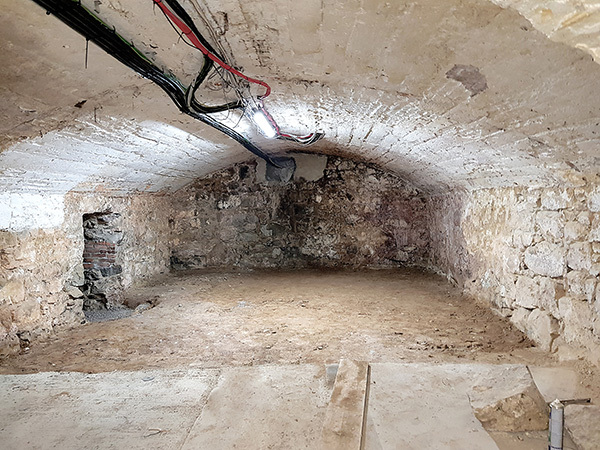 The Team at Wine Corner have specialist knowledge with the sequence of events when it comes to building or refurbishing wine cellars, and the experience and relationships built with equipment suppliers also help to ensure work is completed on time and on budget. ​Protecting your wine is our business – the Team at Wine Corner are your specialists and here to help. Call us now on 03333 702589 or CLICK HERE FOR A BESPOKE QUOTE. Finally – Want to Save Money? Then click here to download our FREE Wine Cellar Design Tips guide – you could save £1,000’s!